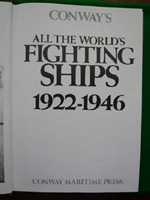 This volume forms part of an important new series of reference books which will eventually cover the whole history of iron and steel war ships, from the first ironclad to the present day. The series involves both a major revaluation of published information and the widescale use of unpublished sources now becoming available for the first time. 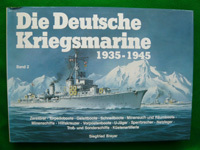 Original book in good condition with excellent technical specifications, line drawings, illustrations and photographs. 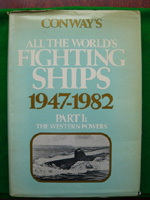 This volume is the second of a series begun by Conway's all the Worlds Fighting ships 1860-1905, which deals with a period for which there was little existing published material. The period covered is from the Washington Treary to the end of the wartime building programmes. Cover missing. Original book in excellent condition with excellent technical specifications, line drawings, illustrations and photographs. 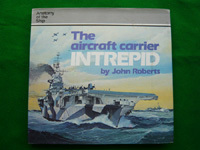 A complete anatomy of the ship in words, photographs and drawings. This series aims to provide the finest documentation of individual ships and ship types ever published. It is a radical departure from the usual monograph approach which concentrates on either the ships service history, its technical details of external appearance. Although elaborate drawings are extremely popular in aviation publications this is the first attempt to document a ship in similar depth - literally down to the nuts and bolts. 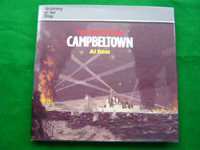 The drawings are accurate, visually exciting and totally comprehensive offering ship buffs, historians and model makers a novel insight into the technicalities of each ship covered. 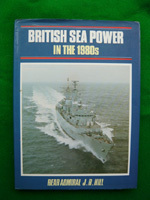 Original book in good condition with photographs and illustrations. 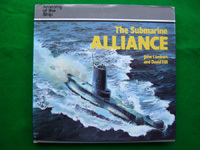 As Admiral Hill says in his preface: Having now been on the retired list for two years I am much freer to express opinions on the full range of policy and to put forward in this book views of my own on both material and strategic matters. 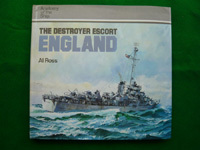 Original book in excellent condition with photographs and illustrations.